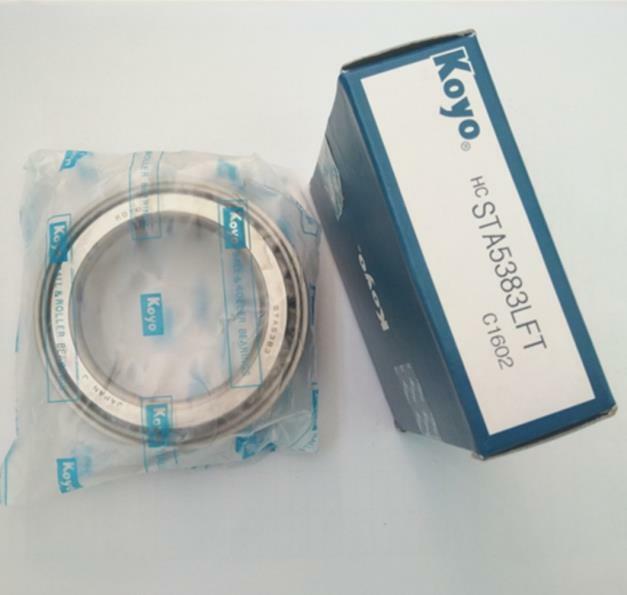 Auto wheel bearing STA5383 Tapered roller bearings consist of four basic components including: the cone (inner ring), the cup (outer ring), tapered rollers, and a cage (roller retainer). The cone, cup and rollers carry the load while the cage spaces and retains the rollers on the cone. The cone, rollers and cage components of our tapered roller bearings are referred to as the cone assembly. Individual cup and cone components of our tapered roller bearings are available as well as the complete assembly. Although Through-Hardened bearings have gradually become the preference in heavy-duty commercial trucking applications, we will supply both Through-Hardened and Case-Hardened Tapered Roller Bearings. 1)Higher load ratings :Tapered roller bearing with higher load ratings can accept radials loads or axials loads in one direction and combined radial and radial loads .This type of bearing is suitable for use under heavy load or impact load. 2)The outer ring can be mounted seperately from the inner ring assembly. 3) Mounted clearance is adjustable.